Fitness Machine operates a pricing structure to suit everyone. All members undergo a full induction and fitness assessment which is free of charge. Casual visitors do not have to do an induction but must sign a disclaimer. 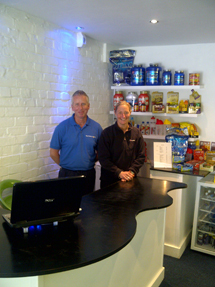 The gym is continually staffed with someone always on hand for help and advice. 11 and 12 year olds must be accompanied by an adult. If you're unsure as to what level of membership would best suit you, please do not hesitate to call us or call in at the gym and speak to a member of staff.